If you have any questions or suggestions, we’d love to hear from you. Please contact us by email at stalls@lymmduckrace.co.uk. Lymm Duck Race is organised by Lymm & District Round Table. We are a group of guys aged 25 – 45 that meet up a couple of times a month to escape the WAGs, grab a few pints, take part in experiences and have some great nights out. 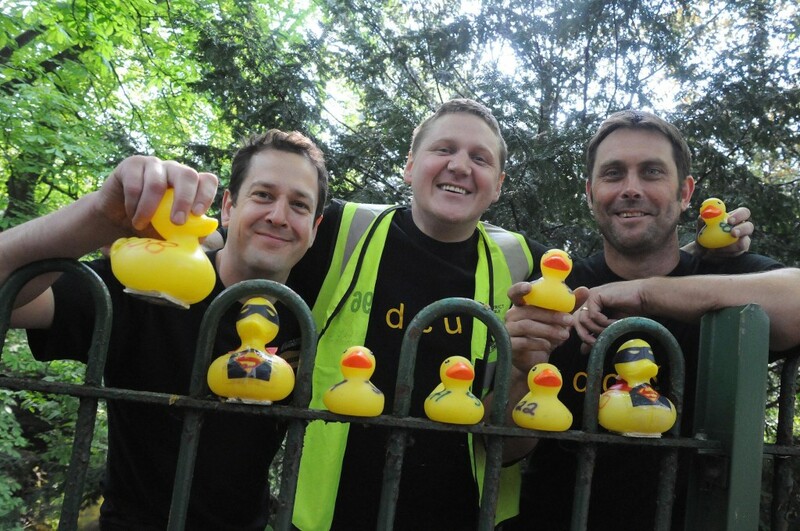 Round Tablers James, John and Ian at Duck Race 2014. If you are interested in finding out more, please take a look at www.lymmroundtable.co.uk. Lymm Ladies Circle is like the Round Table, but for girls. They look after the food fair at the Duck Race. To see what they get up to the rest of the year, visit www.lymmladiescircle.co.uk.